Gorgeous place to stay. Accessible to many areas in the Smokey Mountain region. It was very comfortable, clean and updated. 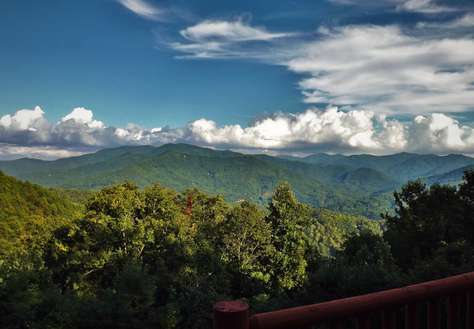 You can’t beat the views from Smokey Mountain Dawn! Cabin was spacious, clean, well appointed. View from back deck is amazing. Would stay again. What a find. 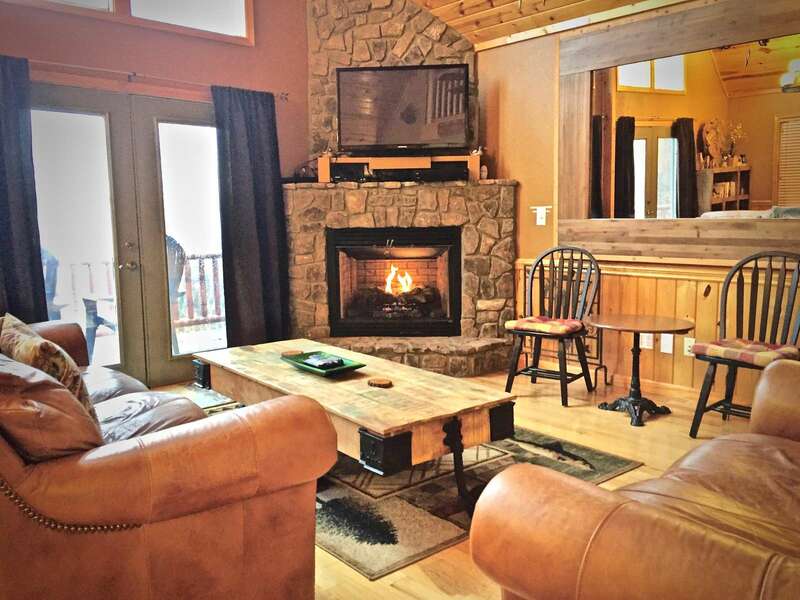 My family has just got back from Spring break and had a fantastic time in this beautiful cabin. 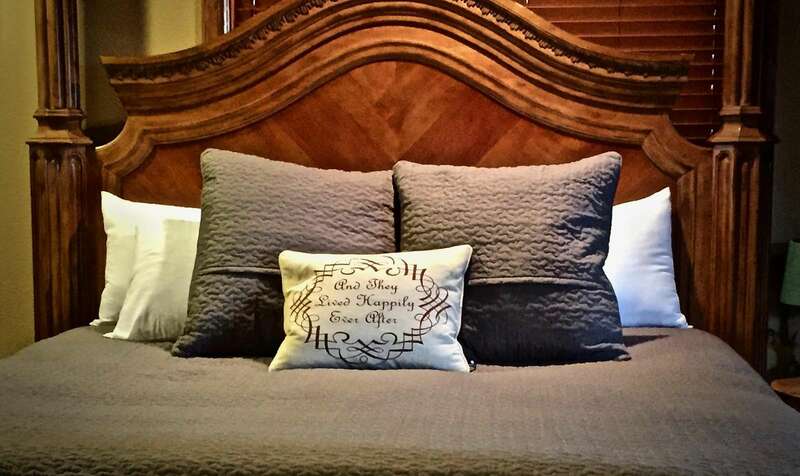 It was perfect for my 3 boys and my wife and I loved the sanctuary of the master bedroom. 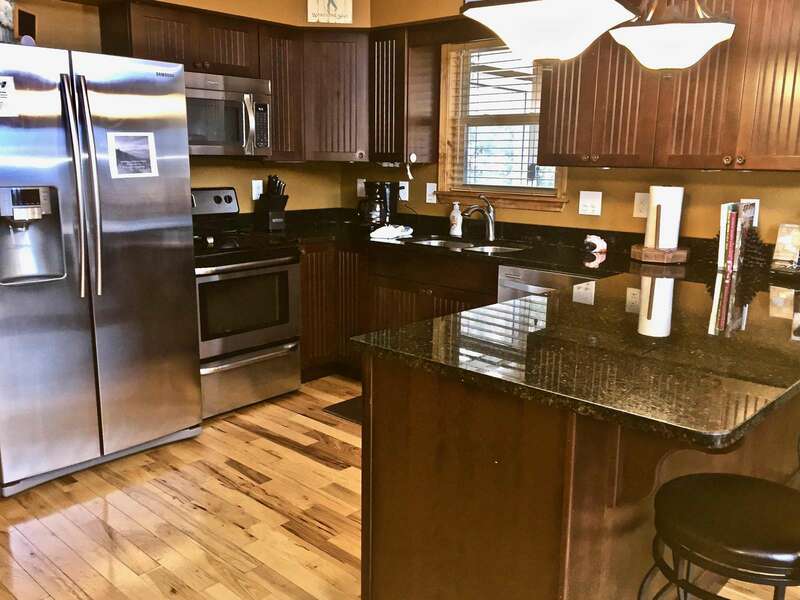 The owners have thought of everything you might need to have a very comfortable stay. The views are amazing and sitting on the balcony with a glass of wine was pure heaven. Thank you for everything we will be back. My fiancé and I work very demanding and stressful jobs and are accountable 7 days a week to our staff. We were looking for a nice getaway tucked up on a mountain with a view. This cabin delivered the on all points and then some. There was not 1 single thing we wished it had. The view is absolutely breathtaking! It was very welcoming as soon as you walked in the door. We will definitely be back! You just got yourselves forever customers. Thank you for giving us what we so desperately needed. Beautiful cabin. More than described! Had a great time. We stayed at Smoky Mountain Dawn for 8 days. Wonderful place to explore local hiking trails in the Smokies with our young family. Beautiful and well appointed, and cozy for our family of 5, more than enough space. 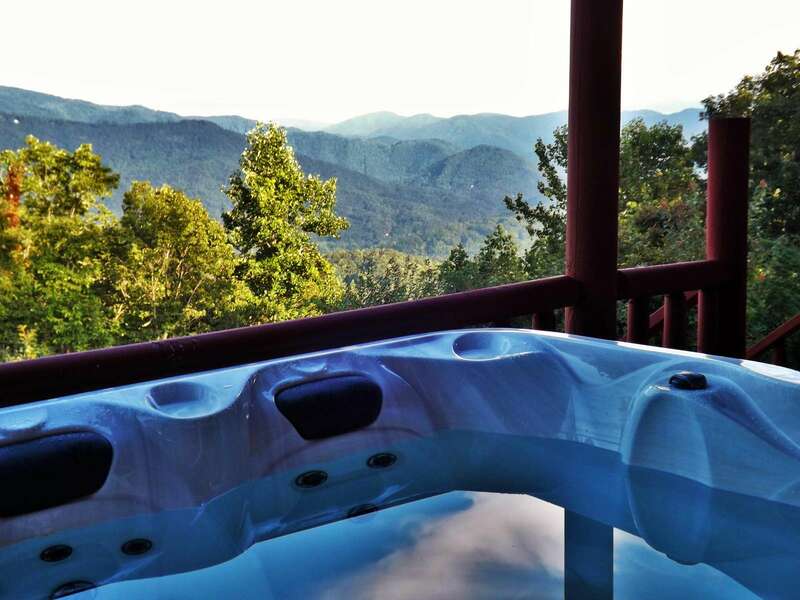 Hot tub was excellent, kitchen very usable, and wonderful views! We enjoyed Bryson City's many good eats and wish we could have spent more time here. The Cherokee museum was worth visiting. To top it off, it was a fantastic place to see the Eclipse of 2017! The drive up the mountain was slightly intimidating the first day, but not a problem afterwards. We would come back!! Immaculately clean. All the comforts of home. Well stocked bathrooms and kitchen. Breath-taking view! We have two teenagers so we could each have a bedroom on a different floor. It was so nice to grill and cook some simple meals so we didn't have to eat out all the time. There is so much to do in this area! 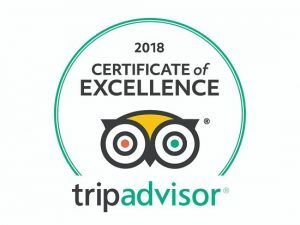 We did the Great Smoky Mountain Railroad, a five mile hike to see waterfalls, Clingmans Dome, whitewater rafting on the Nantahala and Ocoee Rivers, drove to Asheville and toured the Biltmore Estate then went to Sliding Rock. And while my husband and son went on an eight mile hike along the Appalachian Trail, my daughter and I went shopping in Cherokee. I would highly recommend this cabin! 2 kids, 3 adults and we had plenty of room. The view is For Real and truly amazing. The home was clean, comfortable and nicely furnished. The drive up the mountain to the house is a bit hair raising the first time, but then we were used to it. A view like this is worth the drive. We would stay again if we find ourselves back in the area. 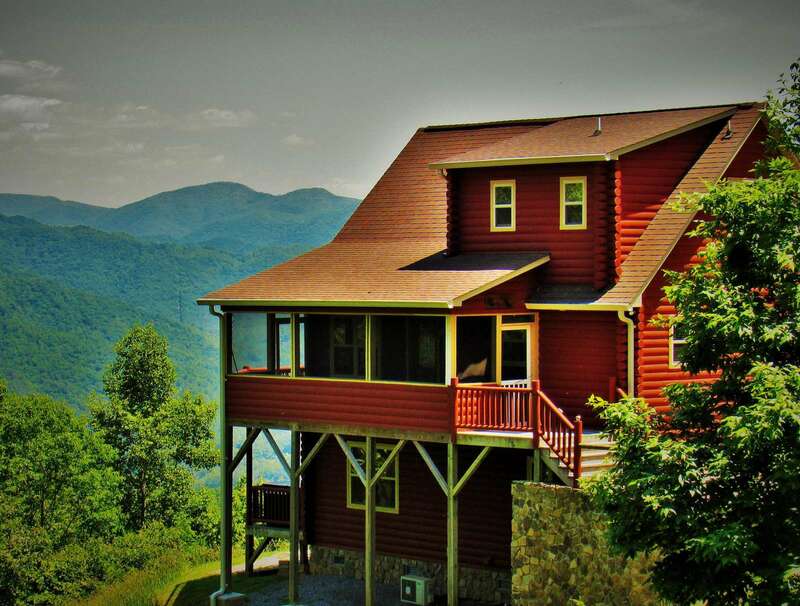 THIS MOUNTAIN HOME IS OUTSTANDING! THE ROAD UP TO THE HOUSE IS WINDING , NARROW AND A BIT DAUNTUNG THE FIRST TIME UP BUT THE VIEWS FROM THE OUTSIDE DECKS ARE AMAZING. THE INSDE IS DECORATED FOR COMFORT AND RELAXATION AND THE BEDROOMS ALL HAVE GREAT BEDS AND BATHROOMS AND FLAT SCREENS IN EACH BEDROOM AS WELL AS IN THE GREAT ROOM AND THE TWO GAS FIREPLACES JUST MAKE IT PERFECT! WE ARRIVED WITH SMILES AND LEFT WITH SMILES AND WILL BE BACK AGAIN! Fantastic place for adults to get away from the city life and enjoy the beautiful mountain view and fresh air. The cabin is big enough for one or two couples. 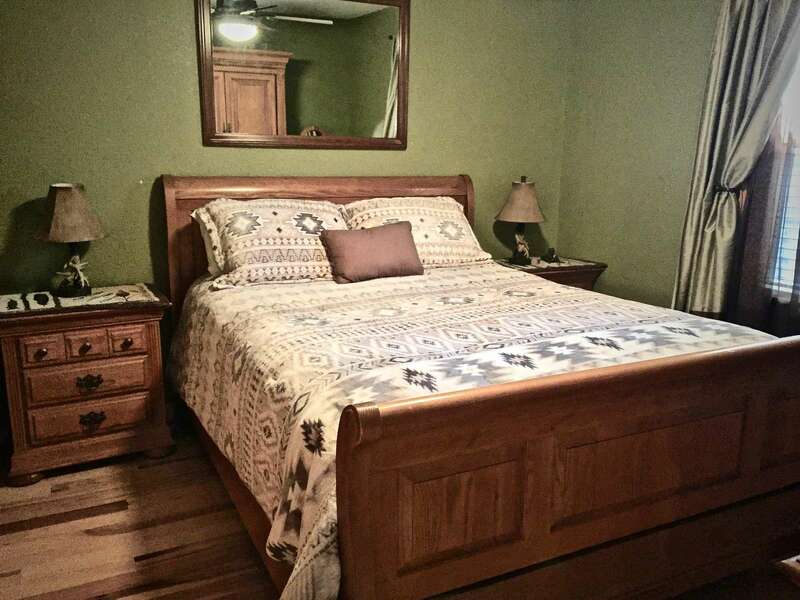 A very nice romantic master bedroom and shower down stairs await you. The listing for this cabin is pretty correct. Be sure to arrive before sunset.....a very interesting drive UP a mountain side that is exciting to drive. ALL wheel drive or 4 wheel drive is recommended. Take your time. All I can say is: WOW. Bryson City is not too far away. Highly recommend a Italian restaurant: PASQUALINO'S. We are booking again next year 2017 already. Nestled away above everything. This is a beautiful home located high up a mountain with a wonderful view, a very romantic setting for the latter part of mine and my husband's honeymoon. You feel far away from any hustle and bustle, but it is still a short drive to the highway for all of your adventures. Our stay was in late October and the colors were beautiful, so we did a lot of driving. One afternoon, we drove down Hwy 28 to Franklin, then drove back up Wayah Road, stopping along the way at the Wayah Knob lookout tower. 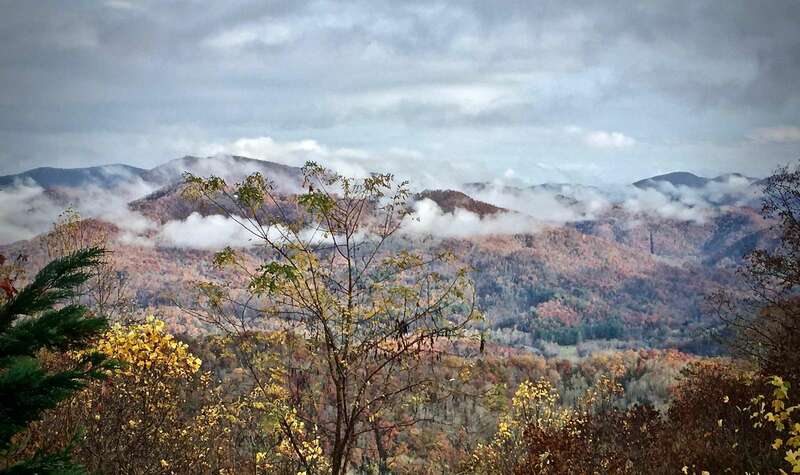 On another day, we made a giant loop through the Tail of the Dragon into Tennessee and came back down the Cherohala Skyway, going on a hike at Huckleberry Knob. 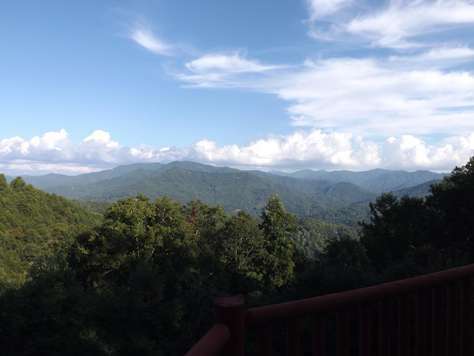 We spent another day driving through the Great Smoky Mountain National Forest to Pigeon Forge, where there are MANY, MANY beautiful places to stop along the way - like the view at Clingman's Dome or the Alum Cave trail (we saw peregrine falcons last time we went), and go to the alpine coaster in Pigeon Forge! The home was a very welcoming place to return to each evening, and the furniture is very comfortable. 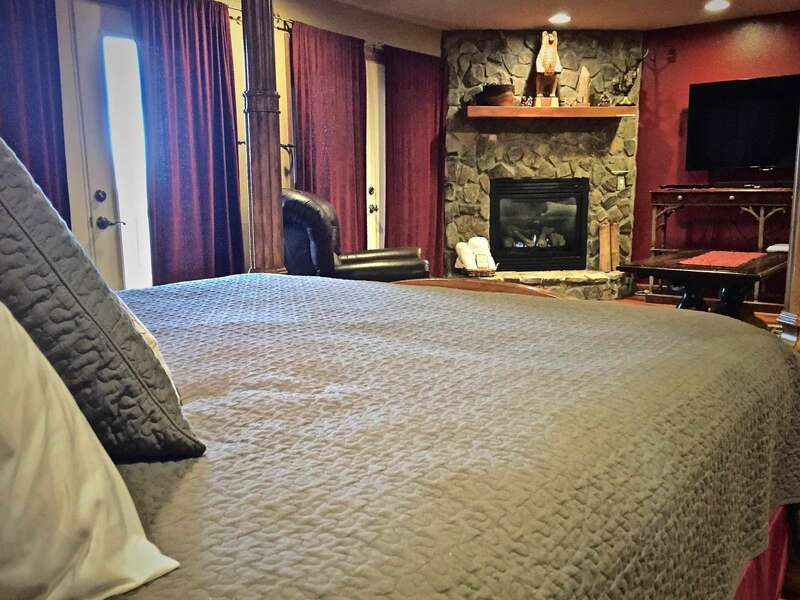 The downstairs masters suite is HUGE with a king size bed, plush sitting area, fireplace, TV, hot tub and a very large shower! Very romantic! This home is wonderful for families as well as there are bathrooms for each of the three bedrooms, and everything needed was provided. I would highly recommend this wonderful setting for a perfect mountain getaway! 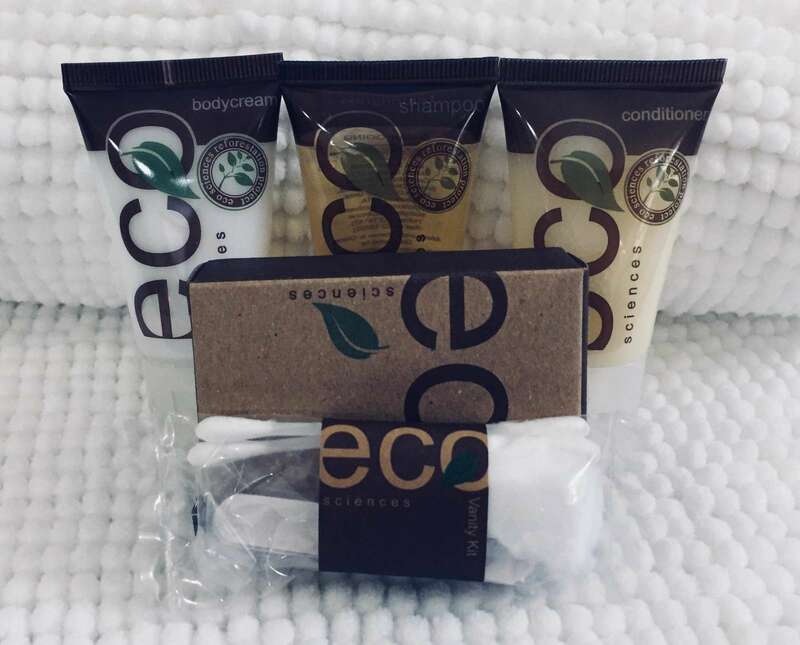 Thank You so much for taking the time to write this wonderful review! Hopefully, this will be an annual tradition each Anniversary. I agree, views like this are hard to find so close to town and all of the area activities you mentioned! Best Appointed Cabin we have stayed at so far! Our stay was the week of Thanksgiving 2014. We have been going to the Bryson City area since 2006. Ironically the first place we ever rented is right up the hill from Smoky Mountain Dawn. Since our first stay in the area we have probably stayed in 5-6 different cabins, some of which we stayed in more than once. 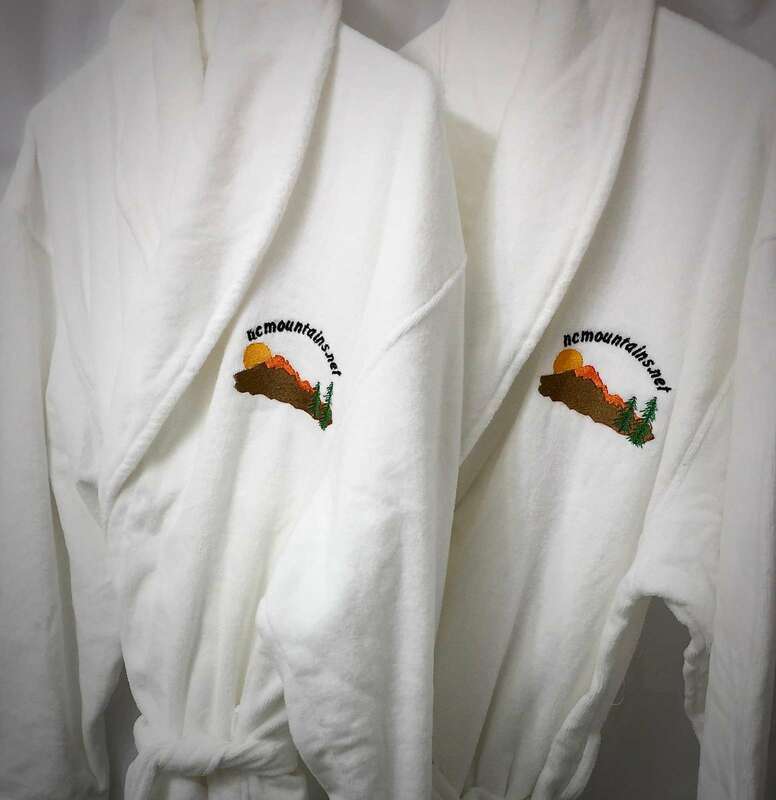 Without a doubt, Smoky Mountain Dawn was the most well appointed of any of cabin we have visited. It also has one of the better views. The cabin has an excellent layout. Coming in from a screened porch you enter a big living area with a nice tv and DVD. 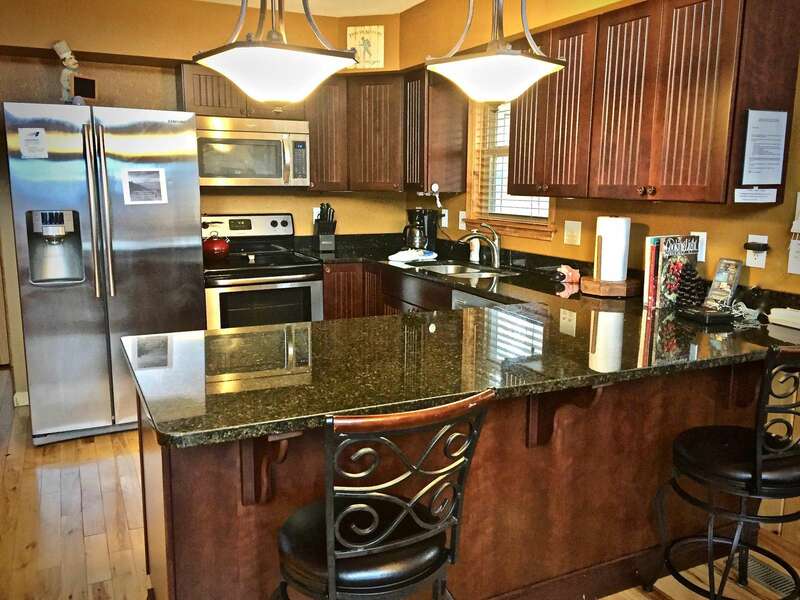 A kitchen with great appliances and fully equipped with many cooking utensils. The bedroom on the first floor was great for our 4yr old. with a full bath off the kitchen with a jacuzzi tub. Although we didn't use it, the loft area had a great bed and a full bath. All bedrooms had flatscreen TVs and DVD players. There is a quite extensive DVD collection, which could be nice on a rainy day. Also a collection of books about the local area which i thought were good. 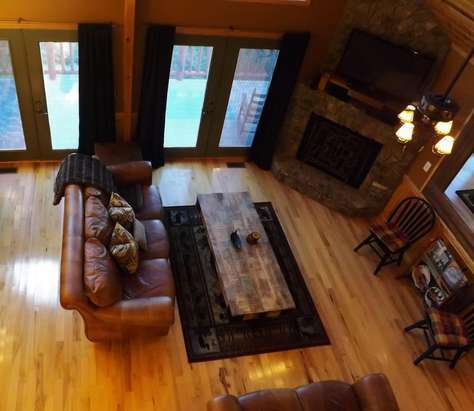 The absolute best part of this cabin is the master suite downstairs. Huge room, with leather couch and recliner, nice bed and furniture, and really nice/large Samsung flatscreen. Even a Wii game system which provided a bit of fun for myself and kid. 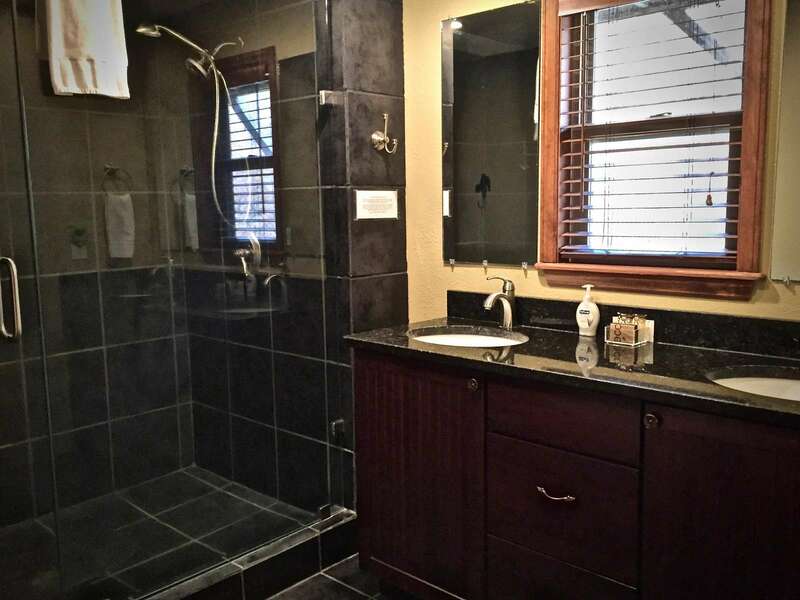 The master bath has double sinks and two headed tile shower, No tub in the master, but my just used one upstairs. 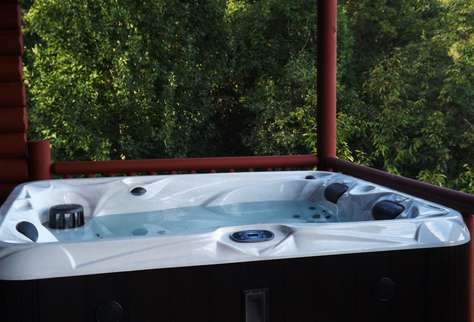 The patio off the master has a really nice hot-tub. Try the lights. Its like hot-tub time machine. I think you can even plug your iPod in, but didn't try that. Also in the master suite is a full laundry room. Not one of the small stackables you find in most cabins, but full size washer dryer. The location is great, in that you are a short drive to the grocery and town and not too far to Tsali, NOC. But still has a feeling being "away". We were blessed with an inch or too of snow, but the paved road stayed completely clear. Overall our stay was fantastic. We will be back. Simply Wonderful! 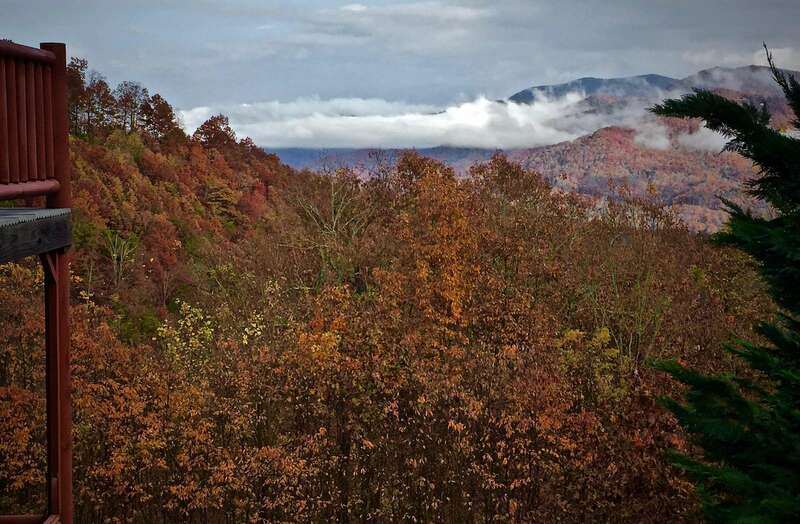 We just returned from a 6-night stay at "Smoky Mountain Dawn". What a beautiful cabin with amazing views! 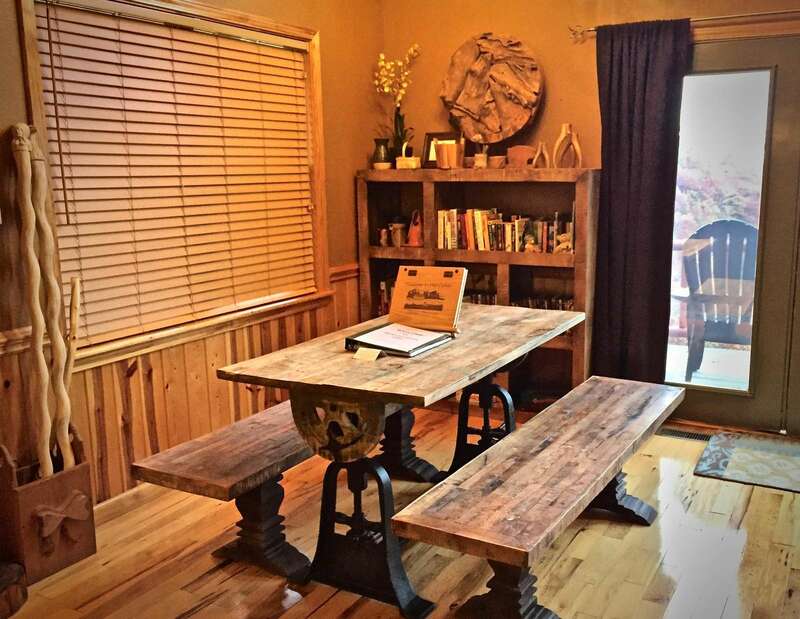 This cabin was just renovated and we were lucky enough to be the first guests to enjoy it. We could not have been more pleased. The location was very convenient to all the area has to offer. We wanted the terrific views, but we also needed a motorcycle-accessible location. That is not easy to find, but the road up the mountain to this cabin is paved all the way up. It is still narrow, curvy and steep (you don't get that view without that trade-off), but it was not a problem for our car or the motorcycle. Once you get to the top, there is a nice large level packed gravel parking area. The owners and property manager really thought of everything you would need when staying at this cabin. We also enjoyed using the fire pit and the hot tub. Kathleen (the property manager) was great to work with and very responsive. We really couldn't have asked for anything better! !